Everly has been making guitar strings since 1957. 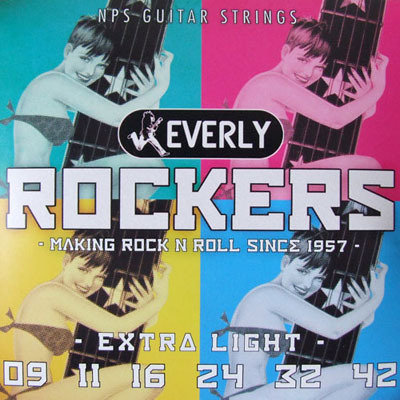 I really had a hard time finding anyone who sold Everly Rockers, even though they are my favorite guitar string. But Strings By Mail not only had them, but also had a fair price and even though they were short of the ten sets I ordered, sent me four immediately and the remainder within a week or so. Very happy with Strings By Mail, and I will purchase from them again!